Music is utilized in many sports for motivation. 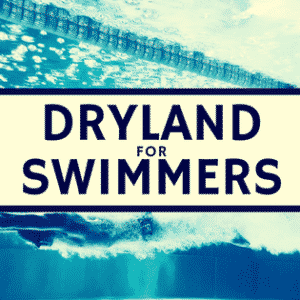 In swimming, underwater music players have increased in commonality and popularity. Studies have found positive correlations between music and improvements on sub-maximal aerobic performance. However, conflicting results exist in music and supra-maximal exercise. Even if beneficial, listening to music is not allowed in competition. However, using music during recovery is allowed and has been suggested to improve recovery. This study analyzed the isolated effect of rhythm on the recovery from exhaustive exercises. Ten adult male participants who exercised 5 – 8 hours a week completed a six-min treadmill run at peak VO2 speed (determined from a prior maximal exercise test) for two trials. In one trial, the participant listened to rhythmic beats only during recovery and in the second trial, the participant did not listen to music. Heart rate, blood lactate, and relative perceived exertion (RPE) were taken. Heart rate improved during both recovery types, without a statistical difference between the two trials. The step number was greater in the group who listened to music. There was no difference in lactate levels between groups. RPE was not significantly lower in the group with music. Recovery after exercise is typically passive or active. Active recovery is believed to result in quicker recovery. This study suggests listening to rhythmic music during recovery increases the number of steps. 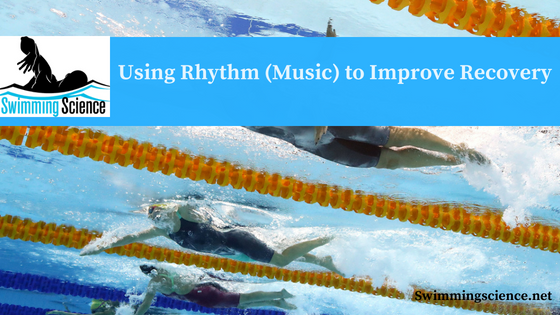 Allowing your swimmers to rhythmic listen to music during recovery may increase the total volume of warm-down, however, allowing them to pick their favorite music is recommended to potentially improve RPE and lactate levels. 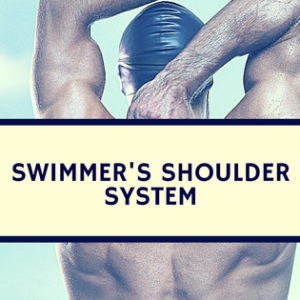 Moreover, the mode of warm-down is questionable in swimming. 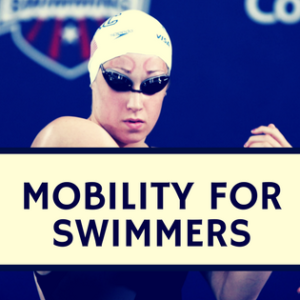 Research suggests swimming is the best mode for lactate clearance, but slow warm-down speeds may induce poor motor programming.